Courtesy of Swimming Australia, Brighton Beach, Adelaide. 23-year-old Eric Hedlin of Canada flew a long way to win two races at the 2017 Australian Open Water Swimming Championships on Brighton Beach in Adelaide. He first won the 10 km race by nearly 3 minutes over Australian Olympian Jarrod Poort on the first day. Then on the last day, he outswam Australian Rio 1500m Olympian Jack McLoughlin in the 5 km time trial 54:18.90 over 55:12.60. Poort finished third in 56:57.60. Both Poort and McLoughlin will head to the 2017 FINA World Championships in Budapest in July. 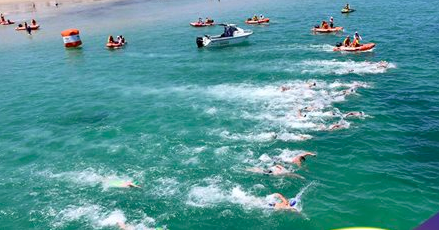 “I haven’t done a lot of open water," said McLoughlin. "I think this is my second race...open water is all about the skills, to try and swim in a straight line and I was out there all by myself, had no one around me so my real goal was to try swim straight the whole way. I came here just for a bit of training. It’s really good for my 1500, doing the 5 km, so it’s good to get a bit of a hit out and get a bit more training under the belt. “I have a pretty fast swim speed, but the open water guys are fantastic at conserving energy and dragging off people then getting up in that last little bit, so I think that today probably worked in my favour. I had no one around me and I just knew I had to swim as fast as I could. I knew I had a bit of a chance making the world team and it would take a bit of pressure off making the pool team, already being on the team so we just came here to have a hit out." Poort was able to hang on to earn his second position at the 2017 World Championships despite being sick while Bailey Armstrong finished fourth overall in a time of 57:06.50. FINA World Short Course 800m bronze medalist Kiah Melverton won the women's 5 km race in 58:06.10 with Kareena Lee second in 59:20.15 and Jessica Ashwood third in 59:41.10. 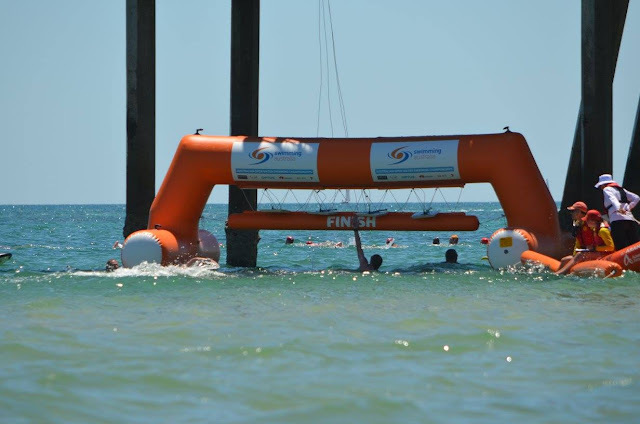 Australia used a time trial system for the 5 km event where swimmers swam by themselves, separated by gaps, with the goal to discover potential future open water stars who may not otherwise be seen. “It was totally different to what I’m used to. Usually you can swim in a pack and jump on people’s feet and race at the end, but this year you just had to take it out hard from the start and hope that you can hold on,” Melverton said. McLoughlin’s training partner Mikayla Messer finished fourth in 1:00:44.40 with 10 km winner Chelsea Gubecka finishing fifth in 1:01.10.